February 5, 2019 11:09 am. High-class mare Ladies First will take her first step on a path to the Group 1 Sydney Cup (3200m) in April when she steps out at Tauherenikau on Wednesday. Last season’s Group 1 Auckland Cup (3200m) winner hasn’t been seen on the track since a fast-finishing fifth in the Group 3 Hotham Handicap (2500m) during the Melbourne spring carnival. 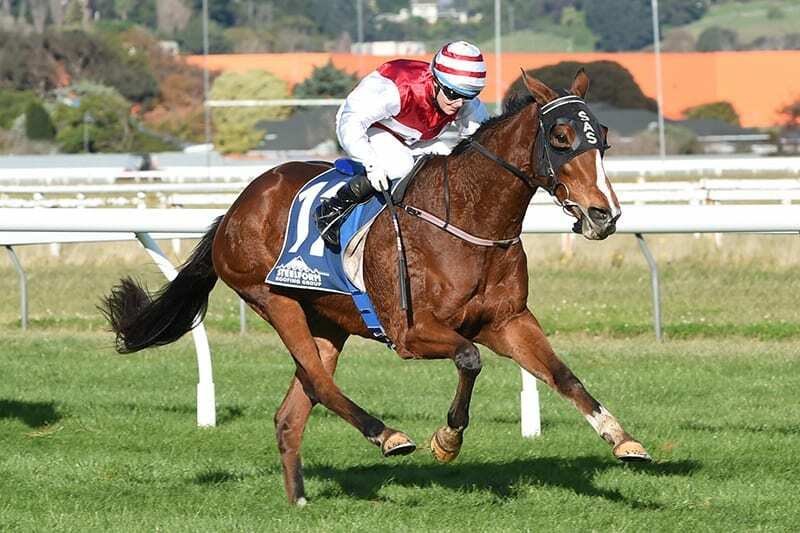 The Dylan Thomas six-year-old will tackle fillies and mares’ company at weight-for-age in the Listed Property Brokers Wairarapa Thoroughbred Breeders’ Stakes (1600m) on Wednesday, with trainer Allan Sharrock confident she is ready to run a cheeky race. “I don’t think I’ve had her better, she is flying,” Sharrock said. Sharrock and the mare’s connections have decided to bypass an attempt to defend her Auckland Cuo crown in favour of the Sydney Cup bid, a move that will see her have two more races in New Zealand before they head to Australia. “She will run on Wednesday and then, most likely, the Group One mile at Otaki,” he said. “We will then give her a run over ground before heading to Sydney where she will have one lead-up run before the Cup. “She has put on a bit of bodyweight after her last race in Melbourne, which was super, so if we could get a little bit of rain affected ground in Sydney, she would be very hard to beat over two miles. Sharrock is hoping he has found a ready-made replacement for Ladies First when she does finish her career on the track after he outlaid $60,000 for her half-brother during the Book 2 session at the National Yearling Sale at Karaka last week. Sold through the Grangewilliam Stud draft the colt by their resident stallion Zed is closely related to Hong Kong performer Clement Legend, who has won his last four starts in the territory.